Mithun Jacob, Won’t You Be My Neighbor? Mithun Jacob became hooked on robotics as young boy growing up in Kuwait. He and his dad would build and operate remote-controlled cars and airplanes. “It was really cool, the notion that you could have these intelligent machines that were a step up from the run-of-the mill, remote-controlled cars and airplanes,” Jacob recalled on Jan. 26 at the Santa Clara Farmers’ Market. 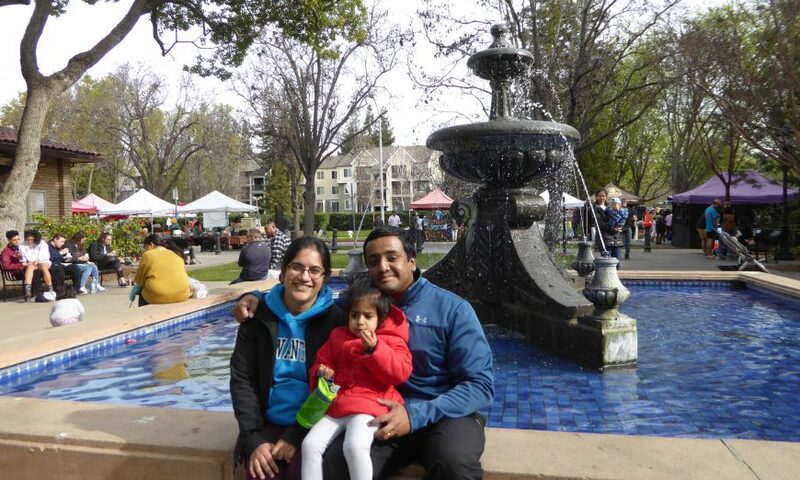 Jacob, a Santa Clara resident since 2014, was enjoying the Saturday morning sunshine at the Franklin Mall fountain with his wife, Ria, and their two-and-a-half-year-old daughter, Nora. Jacob had just finished a chocolate croissant from the food vendor Beckman’s. Ria and Nora were sharing an Indian favorite — a samosa. 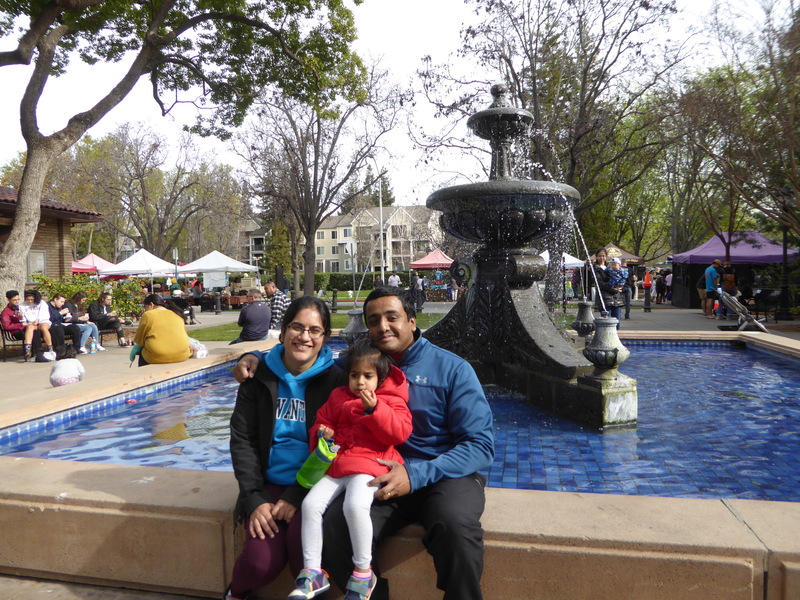 “We love coming here to the farmers’ market,” said Ria, who was born in India. The couple live within biking distance of the market and enjoy biking as a family. They like the safety of biking away from traffic, along the San Tomas Aquino Creek Trail to San Francisco Bay and Baylands Park in Sunnyvale. Jacob’s pursuit of a career in robotics has taken him around the world. He studied mechanical engineering in India, where he and Ria met as undergraduate students. He came to the U.S. in 2007, earning a Master’s Degree in Robotics at the University of Pennsylvania in Philadelphia. Then he earned a PhD in Industrial Engineering at Purdue University in Indiana. “We considered getting a Roomba [a robotic vacuum], but I hear cleaning it is not easy,” said Jacob.